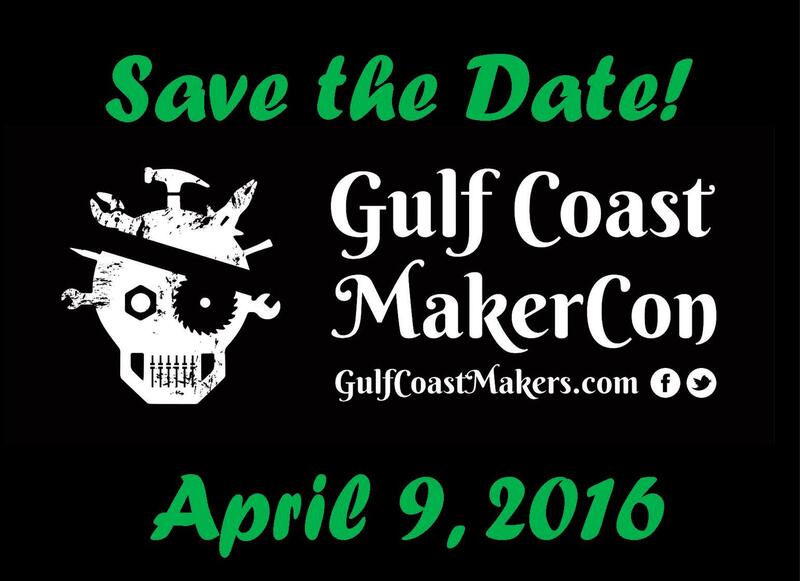 Save the Date: Gulf Coast MakerCon 2016 is April 9th! It’s never too early to start planning for our next Gulf Coast Makers party! Thanks to our great hosts at the Florida State Fairgrounds, we’ve secured the April 9 for Gulf Coast MakerCon 2016. We got some great feedback from this year’s event and will be incorporating a number of enhancements in 2016, including a dedicated “Makers Market” for vendors, and separate areas for things like Entertainment, a Young Makers Village, Mechatronics , Robotics arenas, and more. So save the date, bookmark our website and follow along on Twitter and Facebook throughout the year for news about local makers and their programs and projects, and to stay up to date on 2016 event planning. Together, we’ll Make it Great! This entry was posted in Gulf Coast MakerCon, Gulf Coast Makers Festival, MakerCon, Makers, Makers Festival, Mechanics, Robotics, Young Makers and tagged Gulf Coast MakerCon, Gulf Coast MakerCon 2016, Gulf Coast Makers Festival, inventors, MakerCon, makers festival, Young Makers. Bookmark the permalink.